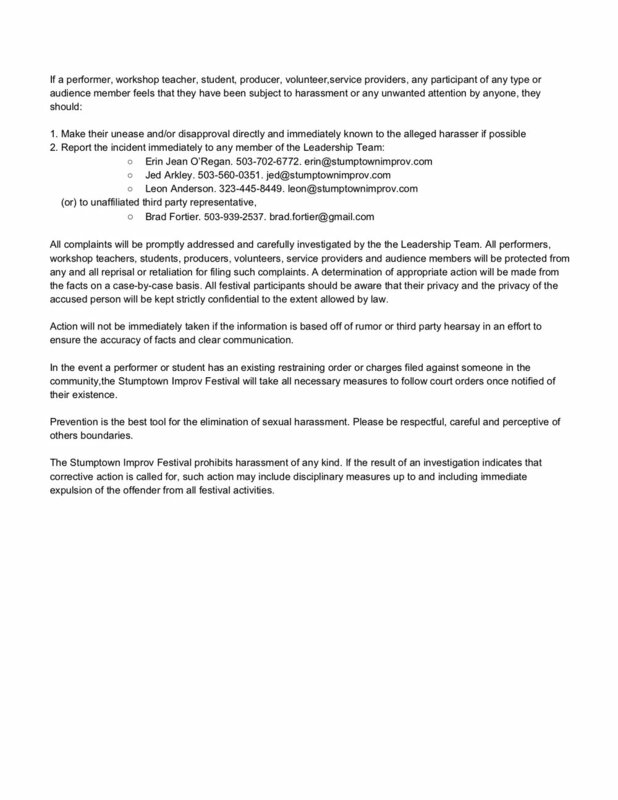 All performers, teachers, students, producers, volunteers, audience members, service providers and hosts are responsible to assure that our festival theater, workshops, after parties, and all affiliated events and spaces are a safe environment, free from sexual harassment and discrimination of any kind. 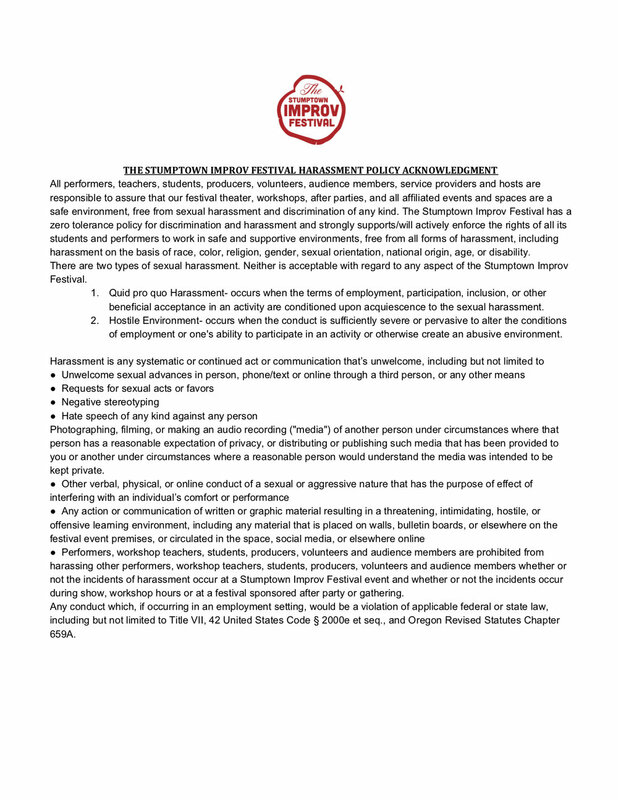 The Stumptown Improv Festival has a zero tolerance policy for discrimination and harassment and strongly supports/will actively enforce the rights of all its students and performers to work in safe and supportive environments, free from all forms of harassment, including harassment on the basis of race, color, religion, gender, sexual orientation, national origin, age, or disability. Our full Harassment Policy is below. If you have trouble reading or downloading the policy, please contact us at info@stumptownimprov.com.